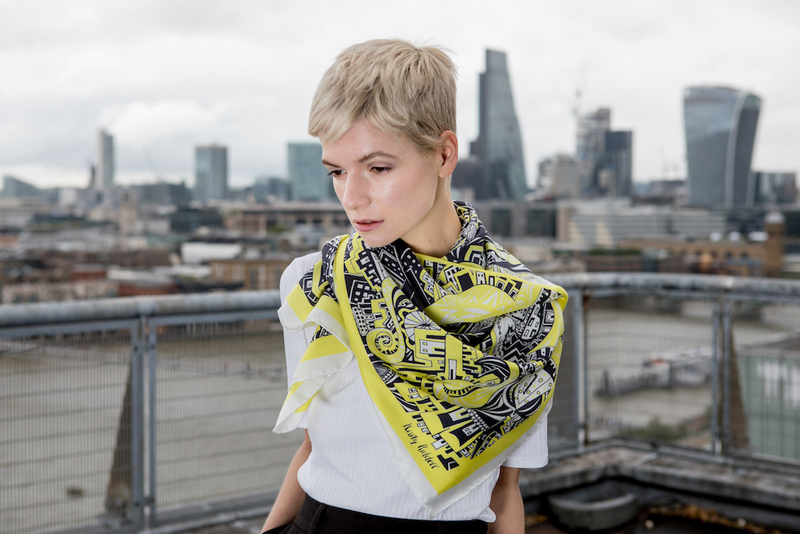 Kirsty collaborated with fashion designer Beryl Otieno to create these limited edition screen-printed 100% silk scarves. Kirsty and Beryl have been exploring the idea of combining their skills in art and fashion to create wearable art garments. 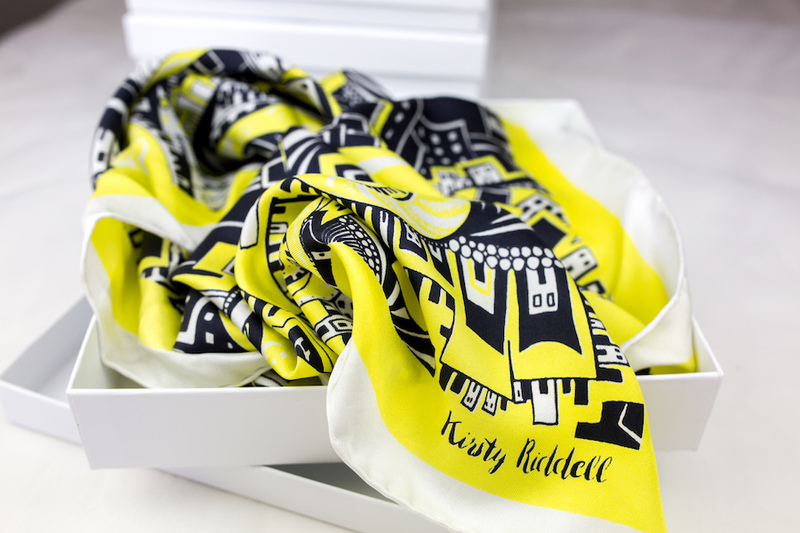 The original design printed on the scarves is a focal piece in Kirsty’s collection from the ‘Yellow Brick Road’ project. This series of drawings questions identity, direction and which path to take in a vibrant city like London. 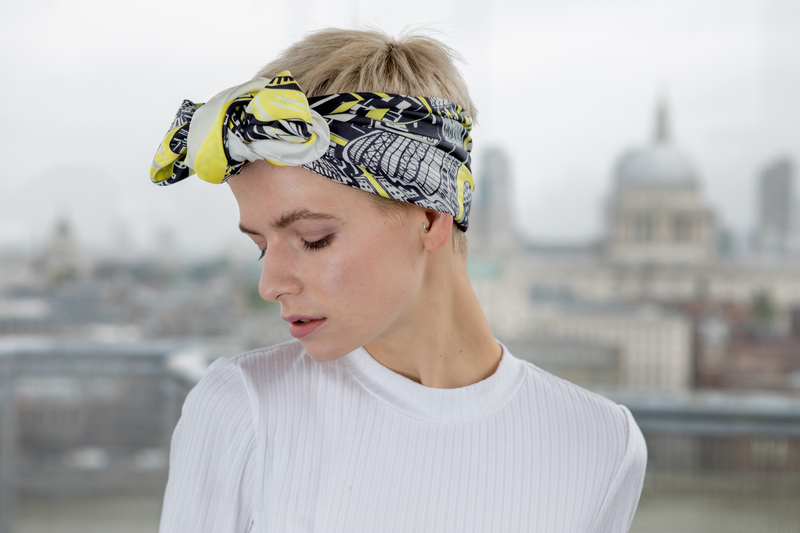 Due to the handmade nature of the printing process and being hand sewn, each scarf is unique and therefore no scarf will be the same. 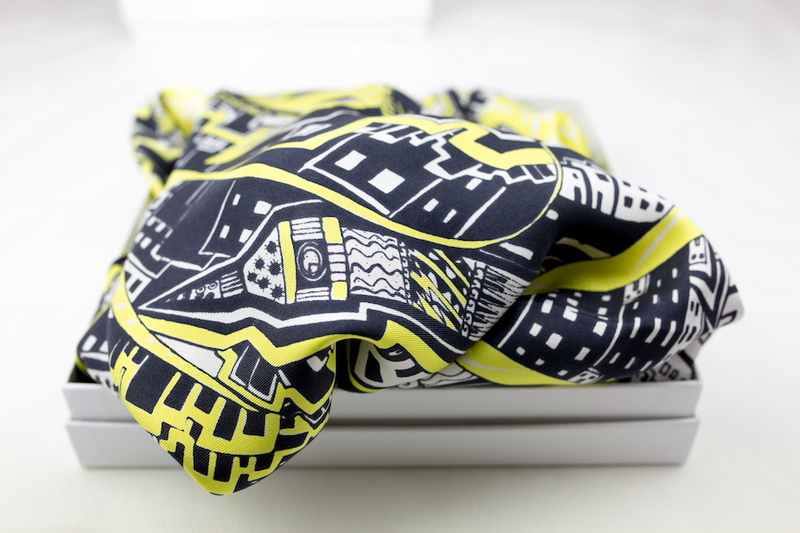 All scarves are designed and made in the UK. 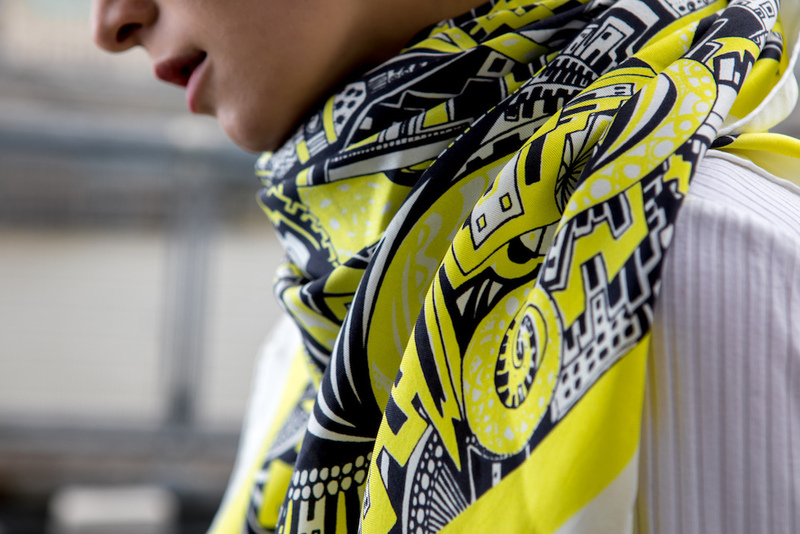 Scarves come with a postcard certifying which number of edition the scarf is (limited edition of 100). If there is a particular edition number you are interested in, please get in touch before ordering; kirsty@kirstyriddell.com. 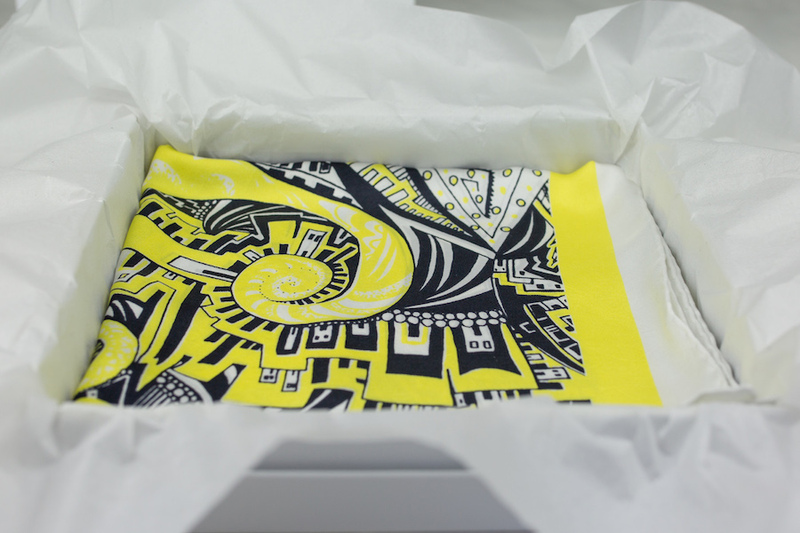 Each scarf comes beautifully wrapped in tissue paper and packed in a Kirsty Riddell white square box (as seen in photographs). Dimensions of scarf are 93x93cm.